Příprava a studium tenkých vrstev materiálů pro implantologii, tkáňové inženýrství a medicínu. Organické a polymerní materiály (MAPLE technologie) pro senzory a tkáňové inženýrství Biosklo, zirkon, dopované biokompatibilní vrstvy (stříbro, molybden, chrom, titan, …), nanokrystalické a nanokompozitní vrstvy, atd. Cílem je vyvinout nové typy biokompatibilních tenkých vrstev s aplikacemi v lékařství a senzorice. Povrch materiálů pro implantologii modifikujeme jak mechanicky a tak laserovým zářením a pomocí plasma apod. (O2, NH2, O3) pro dosažení lepší biokompatibility. Výsledné povrchy studujeme s důrazem na podporu či inhibici růstů různých druhů tkání. Interakční proces laserového záření s látkou (s tkání) je studován termokamerou, rychlými snímači infračerveného záření, opticky a spektroskopicky. Poškození či modifikace tkáně vyhodnocujeme ve spolupráci s lékařskými fakultami. Syntetizujeme nanočástice pomocí laserové ablace v kapalinách pro účely značení biomolekul a pro systémy dávkování léčiv. Naším pracovištěm je Laboratoř excimerového laseru na adrese, Studničkova 7, Praha 2, Albertov. Laboratoř excimerového laseru organizačně přísluší ke Katedře přírodovědných oborů FBMI ČVUT. Osciloskopy, měřiče laserové energie, He-Ne lasery, optické mikroskopy, integrační koule, atd. Projekty z grantových agentur (GAČR, TAČR) a Studentské grantové soutěže (SGS CVUT CZ). Je v platnosti dohoda v rámci výměnného projektu ERASMUS+ s University of Kassel v Německu. Tato smlouva platí jak pro studenty tak zaměstnance. PÍSAŘÍK, P., et al. Diamond-like carbon prepared by pulsed laser deposition with ion bombardment: physical properties. Applied Physics A: Materials Science & Processing. 2018, 124(1), s. 1-9. ISSN 1432-0630. DOI: 10.1007/s00339-017-1501-5. ZEMEK, J., et al. Amorphous carbon nanocomposite films doped by titanium: Surface and sub-surface composition and bonding. Diamond and Related Materials. 2018, 81s. 61-69. ISSN 0925-9635. DOI: 10.1016/j.diamond.2017.11.009. URZOVÁ, J. a JELÍNEK, M. Heat transfer modelling of pulsed laser-tissue interaction. Laser Physics. 2018, 28(3), s. 1-5. ISSN 1054-660X. DOI: 10.1088/1555-6611/aa9a9a. JELÍNEK, M., et al. Doped and Multilayer Biocompatible Materials Prepared by Hybrid Laser Deposition. International Journal of Bioscience, Biochemistry and Bioinformatics. 2018, 8(4), s. 252-258. ISSN 2010-3638. DOI: 10.17706/ijbbb.2018.8.4.252-258. PÍSAŘÍK, P., et al. Antibacterial, mechanical and surface properties of Ag-DLC films prepared by dual PLD for medical applications. Materials Science and Engineering C. 2017, 77, pp. 955-962. ISSN 0928-4931. DOI: 10.1016/j.msec.2017.04.005. FILOVA, E., et al. Adhesion and differentiation of Saos-2 osteoblast-like cells on chromium-doped diamond-like carbon coatings. Journal of Materials Science: Materials in Medicine. 2017, 28(17), pp. 1-14. ISSN 0957-4530. DOI: 10.1007/s10856-016-5830-2. JELÍNEK, M., et al. PLD prepared bioactive BaTiO3 films on TiNb implants. Materials Science and Engineering C, Biomimetic and Supramolecular Systems. 2017, 70, pp. 334-339. ISSN 0928-4931. DOI: 10.1016/j.msec.2016.08.072. KOCOUREK, T., et al. Diamond-like carbon layers modified by ion bombardment during growth and researched by Resonant Ultrasound Spectroscopy. Applied Surface Science. 2016, In press. ISSN 0169-4332. DOI: 10.1016/j.apsusc.2017.03.274. JELÍNEK, M., et al. Hybrid laser technology and doped biomaterials. Applied Surface Science. 2016, In press. ISSN 0169-4332. DOI: 10.1016/j.apsusc.2017.03.103. ZEIPL, R., et al. Scanning thermal microscopy of Bi2Te3 and Yb0.19Co4Sb12 thermoelectric films. Applied Physics A: Materials Science and Processing. 2016, 122:155. ISSN 0947-8396. DOI: 10.1007/s00339-016-0017-8. JELÍNEK, M., et al. Thermoelectric nanocrystalline YbCoSb laser prepared layers. Applied Physics A: Materials Science and Processing. 2016, 122:478. ISSN 0947-8396. DOI: 10.1007/s00339-016-9685-7. REMSA, J., et al. Very Smooth FeSb2Te and Ce0.1Fe0.7Co3.3Sb12 Layers Prepared by Modified PLD. Journal of Electronic Materials. 2016, 45(3), pp. 1921-1926. ISSN 0361-5235. DOI: 10.1007/s11664-015-4295-2. JELÍNEK, M., et al. Bonding and bio-properties of hybrid laser/magnetron Cr-enriched. Materials Science and Engineering C, Biomimetic and Supramolecular Systems. 2016, 58(58), pp. 1217-1224. ISSN 0928-4931. DOI: 10.1016/j.msec.2015.09.006. JELÍNEK, M., et al. Dual laser deposition of Ti:DLC composite for implants. Laser Physics. 2016, 26pp. 1-8. ISSN 1054-660X. 10.1088/1054-660X/26/10/105605. JELÍNEK, M., et al. Thermoelectric Simple and Multilayers Prepared by Laser. Journal of Materials Science and Chemical Engineering. 2016, 4(1), pp. 52-64. ISSN 2327-6053. JELÍNEK, M., et al. Hybrid Laser Technology for Creation of Doped Biomedical Layers. Journal of Materials Science and Chemical Engineering. 2016, 4(1), pp. 98-104. ISSN 2327-6053. DOI: 10.4236/msce.2016.41014. ZEIPL, R., et al. Physical Properties of Bi2Te3 Nanolayers. NATO Science for Peace and Security Series A: Chemistry and Biology. 2015, 39pp. 325-331. ISSN 1874-6489. DOI: 10.1007/978-94-017-9697-2_33. JELÍNEK, M., et al. Chromium-doped DLC for implants prepared by laser-magnetron deposition. Materials Science and Engineering C, Biomimetic and Supramolecular Systems. 2015, 46(1.1.2015), pp. 381-386. ISSN 0928-4931. DOI: 10.1016/j.msec.2014.10.035. PÍSAŘÍK, P., et al. Influence of diamond and graphite bonds on mechanical properties of DLC thin films. In: Journal of Physics Conference Series. 7th International Workshop on Decoherence, Information, Complexity and Entropy (DICE) - Spacetime - Matter - Quantum Mechanics. Castiglioncello, 15.09.2014 - 19.09.2014. Bristol: IOP Publishing Ltd. 2015, pp. 1-6. ISSN 1742-6588. DOI: 10.1088/1742-6596/594/1/012008. PÍSAŘÍK, P., et al. Chromium doped diamond like carbon films deposited by dual pulsed laser deposition. Applied Physics A: Materials Science and Processing. 2014, 117(1), pp. 83-88. ISSN 0947-8396. DOI: 10.1007/s00339-013-8206-1. JELÍNEK, M., et al. Preliminary comparative study of laser-prepared DLC and Cr-doped DLC for bacteria adhesion. Applied Physics A: Materials Science and Processing. 2014, 116(3), pp. 1437-1443. ISSN 0947-8396. DOI: 10.1007/s00339-014-8256-z. SOCOL, M., et al. Organic heterostructures based on arylenevinylene oligomers deposited by MAPLE. Applied Surface Science. 2014, 302(0), pp. 216-222. ISSN 0169-4332. DOI: 10.1016/j.apsusc.2013.12.091. MIKŠOVSKÝ, J., et al. Cell adhesion and growth on ultrananocrystalline diamond and diamond-like carbon films after different surface modifications. Applied Surface Science. 2014, 297pp. 95-102. ISSN 0169-4332. DOI: 10.1016/j.apsusc.2014.01.085. ZEZULOVÁ, M., et al. Polycrystalline LiNbO3 thin films characterized by infrared and Raman spectroscopy. Laser Physics. 2014, 24(2), pp. 1-4. ISSN 1054-660X. DOI: 10.1088/1054-660X/24/2/025701. KOCOUREK, T., et al. Silver doped metal layers for medical applications. Laser Physics. 2014, 24(8), pp. 1-7. ISSN 1054-660X. 10.1088/1054-660X/24/8/085602. KOCOUREK, T., et al. Silver doped metal layers for medical applications. In: Journal of Physics: Conference Series, vol. 497. 22nd International Laser Physics. Prague, 15.07.2013 - 19.07.2013. Bristol: IOP Publishing Ltd. 2014, pp. 1-9. ISSN 1742-6588. DOI: 10.1088/1742-6596/497/1/012021. KYMPLOVÁ, J., et al. Assessment of the Suitability of Excimer Lasers in Treating Onychomycosis. In: Journal of Physics: Conference Series, vol. 497. 22nd International Laser Physics. Prague, 15.07.2013 - 19.07.2013. Bristol: IOP Publishing Ltd. 2014, pp. 1-13. ISSN 1742-6588. DOI: 10.1088/1742-6596/497/1/012022. ZEIPL, R., et al. Properties of thermoelectric Ce0.09Fe0.67Co 3.33Sb12/FeSb2Te multi-layered structures prepared by laser ablation. In: Journal of Physics: Conference Series, vol. 497. 22nd International Laser Physics. Prague, 15.07.2013 - 19.07.2013. Bristol: IOP Publishing Ltd. 2014, pp. 1-10. ISSN 1742-6588. 10.1088/1742-6596/497/1/012038. JELÍNEK, M., et al. Comparison of the surface properties of DLC and ultrananocrystalline diamond films with respect to their bio-applications. PHYSICA STATUS SOLIDI A-APPLICATIONS AND MATERIALS SCIENCE. 2013, 210(10), pp. 2106-2110. ISSN 1862-6300. DOI: 10.1002/pssa.201228713. JELÍNEK, M., et al. Composition, XRD and morphology study of laser prepared LiNbO3 films. Applied Physics A: Materials Science and Processing. 2013, 110(4), pp. 883-888. ISSN 0947-8396. DOI: 10.1007/s00339-012-7191-0. JELÍNEK, M., et al. Influence of ion bombardment on growth and properties of PLD created DLC films. Applied Physics A: Materials Science and Processing. 2013, 110(4), pp. 943-947. ISSN 0947-8396. DOI: 10.1007/s00339-012-7215-9. PÍSAŘÍK, P., et al. Study of optical properties and biocompatibility of DLC films characterized by sp3 bonds. Applied Physics A: Materials Science and Processing. 2013, 112(1), pp. 143-148. ISSN 0947-8396. DOI: 10.1007/s00339-012-7216-8. JELÍNEK, M., et al. Antibacterial, cytotoxicity and physical properties of laser — Silver doped hydroxyapatite layers. Materials Science and Engineering C, Biomimetic and Supramolecular Systems. 2013, 33(3), pp. 1242-1246. ISSN 0928-4931. DOI: 10.1016/j.msec.2012.12.018. ZEIPL, R., et al. Properties of thermoelectric Ce0.09Fe0.67Co3.33Sb12/FeSb2Te multi-layered structures prepared by laser ablation. Thin Solid Films. 2013, 548(0), pp. 590-596. ISSN 0040-6090. DOI: 10.1016/j.tsf.2013.09.068. JELÍNEK, M., et al. Optical properties of laser-prepared Er- and Er,Yb-doped LiNbO3 waveguiding layers. Laser Physics. 2013, 0(23), pp. 1-5. ISSN 1054-660X. DOI: 10.1088/1054-660X/23/10/105819. JELÍNEK, M. Hybrid laser technology for biomaterials. In: JELÍNKOVÁ, H., ed. Lasers for medical applications. Abington Camprige: Woodhead Publishing. 2013, pp. 704-724. 1. vol. 37. ISBN 9780857092373. DOI: 10.1533/9780857097545.4.704. JELÍNEK, M., PODLAHA, J., and KOCOUREK, T. DLC Coated Textile Vascular Prostheses Tested in Sheep. In: Advanced Materials Research. International Conference on Biomaterial and Bioengineering. Hong Kong, 19.12.2012 - 20.12.2012. Durnten-Zurich: Trans Tech Publications. 2013, pp. 20-24. ISSN 1022-6680. ISBN 9783037855973. DOI: 10.4028/www.scientific.net/AMR.647.20. MIKŠOVSKÝ, J., et al. Micro and Macro Scratch and Microhardness Study of Biocompatible DLC and TiO2 Films Prepared by Laser. In: Advanced Materials Research. International Conference on Biomaterial and Bioengineering. Hong Kong, 19.12.2012 - 20.12.2012. Durnten-Zurich: Trans Tech Publications. 2013, pp. 25-29. ISSN 1022-6680. ISBN 9783037855973. DOI: 10.4028/www.scientific.net/AMR.647.25. URZOVÁ, J., et al. Treatment of Onychomycosis Using Radiation of Excimer Laser. In: Advanced Materials Research. International Conference on Biomaterial and Bioengineering. Hong Kong, 19.12.2012 - 20.12.2012. Durnten-Zurich: Trans Tech Publications. 2013, pp. 636-641. ISSN 1022-6680. ISBN 9783037855973. ZEIPL, R., et al. Thermoelectric Properties of Ce0.09Fe0.67Co3.33Sb12/FeSb2Te Multi-Layered Structures. Journal of Computer and Communications. 2013, 1(7), pp. 1-4. ISSN 2327-5219. KOCOUREK, T., et al. Silver-Doped Layers of Implants Prepared by Pulsed Laser Deposition. Journal of Computer and Communications. 2013, 1(7), pp. 59-61. ISSN 2327-5219.JELÍNEK, M. Functional planar thin film optical waveguide lasers. Laser Physics Letters. 2012, 9(2), pp. 91-99. ISSN 1612-2011. REMSA, J., JELÍNEK, M., and MIKŠOVSKÝ, J. PLD and RF discharge combination used for preparation of photocatalytic TiO2 layers. Applied Surface Science. 2012, 258(23), pp. 9333-9336. ISSN 0169-4332. DOI: 10.1016/j.apsusc.2012.02.042. KUTÍLEK, P., et al. The evaluation and comparison of the practical adhesion strength of biocompatible nano and micro thin films by fuzzy logic [online]. In: 35th International Conference Telecommunications and Signal Processing. 35th International Conference on Telecommunications and Signal Processing. Prague, 03.07.2012 - 04.07.2012. Brno: VUT v Brně, Fakulta elektrotechniky a komunikačních technologií. 2012, pp. 489-493. ISBN 978-1-4673-1118-2. PROSECKÁ, E., et al. Thin-Layer Hydroxyapatite Deposition on a Nanofiber Surface StimulatesMesenchymal Stem Cell Proliferation and Their Differentiation into Osteoblasts. Journal of Biomedicine and Biotechnology. 2012, 2012(0), pp. 1-10. ISSN 1110-7243. DOI: 10.1155/2012/428503. JELÍNEK, M., et al. MAPLE activities and applications in gas sensors. Applied Physics A: Materials Science and Processing. 2011, 105(3), pp. 643-649. ISSN 0947-8396. DOI: 10.1007/s00339-011-6629-0. KOCOUREK, T., et al. Evaluation of elastic properties of DLC layers using resonant ultrasound spectroscopy and AFM nanoindentation. Surface & Coatings Technology. 2011, 205(2), pp. 67-70. ISSN 0257-8972. DOI: 10.1016/j.surfcoat.2011.01.038. JELÍNEK, M., REMSA, J., and ZEZULOVÁ, M. Laser Deposition of TiO2 for Urethral Catether. In: Proc. of SPIE Vol. 7747 - 16th International School on Quantum Electronics: Laser Physics and Applications. 16th International School on Quantum Electronics: Laser Physics and Applications. Nessebar, 20.09.2011 - 24.09.2011. Bellingham: SPIE. 2011, pp. 774703-1-774703-8. ISSN 0277-786X. ISBN 978-0-8194-8237-2. DOI: 10.1117/12.885085. ZEZULOVÁ, M., et al. Study of Thin Films of LiNbO3 Using FTIR and Raman Spektroscopy. In: Proceedings of SPIE Vol. 8306 - Photonics, Devices, and Systems V. Photonics Prague 2011. Praha, 24.08.2011 - 26.08.2011. Bellingham: SPIE. 2011, pp. 91. ISSN 0277-786X. ISBN 978-0-8194-8953-1. 10.1117/12.910590. JELÍNEK, M., et al. Biomedical Properties of Laser Prepared Silver-Doped Hydroxyapatite. Laser Physics. 2011, 21(7), pp. 1265-1269. ISSN 1054-660X. 10.1134/S1054660X11130159. JELÍNEK, M., et al. Antibacterial Properties of Ag-Doped Hydroxyapatite Layers Prepared by PLD Method. Applied Physics A: Materials Science and Processing. 2010, 101(4), pp. 615-620. ISSN 0947-8396. DOI: 10.1007/s00339-010-5911-x. JELÍNEK, M., et al. Diamond/Graphite Content and Biocompatibility of DLC Films Fabricated by PLD. Applied Physics A: Materials Science and Processing. 2010, 101(4), pp. 579-583. ISSN 0947-8396. DOI: 10.1007/s00339-010-5912-9. JELÍNEK, M., et al. Conductive Gas Sensors Prepared Using PLD. In: Proceedings of the NATO Advanced Study Institute on Nanotechnological Basic for Advanced Sensors. Science for Peace and Security. Sozopol, 30.05.2010 - 11.06.2010. Dordrecht: Springer. 2010, pp. 391-399. ISBN 978-94-007-0903-4. 10.1007/978-94-007-0903-4_40. JELÍNEK, M., et al. Biocompatibility and Sp3/Sp2 Ratio of Laser Created DLC Films. Materials Science and Engineering: B. 2010, 163(1-3), pp. 89-93. ISSN 0921-5107. DOI: 10.1016/j.mseb.2010.01.010. ZEIPL, R., et al. Properties of Thin N-type Yb0.14Co4Sb12 and P-type Ce0.09Fe0.67Co3.33Sb12 Skutterudite Layers Prepared by Laser Ablation. Journal of Vacuum Science and Technology A. 2010, 28(4), pp. 523-527. ISSN 0734-2101. DOI: 10.1116/1.34258037. JELÍNEK, M., et al. Doped Biocompatible Layers Prepared by Laser. Laser Physics. 2010, 20(3), pp. 562-567. ISSN 1054-660X. 10.1134/S1054660X10050087. JELÍNEK, M., et al. SiCx Layers Prepared by Hybrid Laser Deposition and PLD. Plasma Processes and Polymers. 2009, 6(1), 366-369. ISSN 1612-8850. 10.1002/ppap.200930803. KOPECKÝ, D., et al. Polypyrrole Thin Films for Gas Sensors Prepared by Matrix-Assisted Pulsed Laser Evaporation Technology: Effect of Deposition Parameters on Material Properties. Thin Solid Films. 2009, 517(6), 2083-2087. ISSN 0040-6090. DOI: 10.1016/j.tsf.2008.10.047. JELÍNEK, M., et al. Hybrid laser-magnetron technology for carbon composite coating. Laser Physics. 2009, 19(2), 149-153. ISSN 1054-660X. 10.1134/S1054660X09020017. JELÍNEK, M., et al. Highly oriented crystalline Er:YAG and Er:YAP layers prepared by PLD and annealing. Applied Surface Science. 2009, 255(10), 5292-5294. ISSN 0169-4332. DOI: 10.1016/j.apsusc.2008.08.037. JELÍNEK, M., et al. 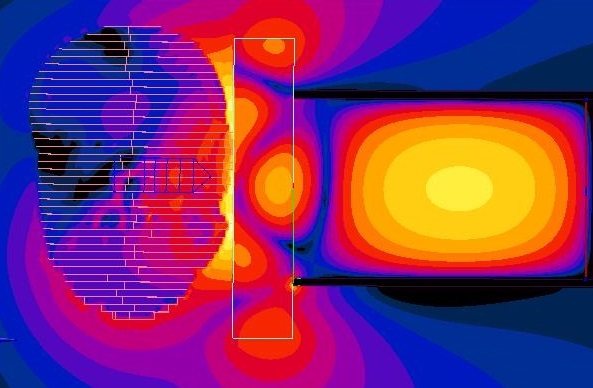 Pulsed Laser Deposition: Passive and Active Waveguides. International Journal of Materials & Product Technology. 2009, 34(4), 438-453. ISSN 0268-1900. JELÍNEK, M. Growth of Optical Waveguides by Pulsed Laser Deposition. Laser Physics. 2009, 19(2), 265-273. ISSN 1054-660X. 10.1134/S1054660X09020194. JELÍNEK, M., et al. Thin SiCx Layers Prepared by Hybrid Laser-Magnetron Deposition, Applied Physics A: Materials Science and Processing. 2008, 93(3), 633-637. ISSN 0947-8396. DOI: 10.1007/s00339-008-4727-4. KOCOUREK, T., et al. DLC Coating of Textile Blood Vessels using PLD. Applied Physics A: Materials Science and Processing. 2008, 93(3), 627-632. ISSN 0947-8396. DOI: 10.1007/s00339-008-4728-3. JELÍNEK, M., et al. Nanotechnologie Praha: Technologické centrum AV ČR, 2008. Snímáním, přenosem, on-line zpracováním, zobrazováním, archivací a off-line zpracováním biologických signálů v reálném čase. Nejbližším cílem je sestavení speciálního modulárního systému pro snímání, digitalizaci, přenos, on-line zpracování a archivaci technických a fyziologických veličin (EEG, EKG, EMG, kožní odpor, teplota a dechová křivka), schopného pracovat v prostředí extrémního rušení během experimentů, dále návrh a realizace komplexního experimentálního softwarového systému pro interaktivní vizualizaci a pokročilé zpracování vícerozměrných biomedicínských dat získaných při měření a provedení ověřovacích experimentů na zkonstruovaném modulárním měřicím systému, s cílem plně integrovat vyvinutou metodiku do experimentů na biologických objektech. Vytvoření mobilního pracoviště pro výzkum kardiovaskulárního systému i biologické zpětné vazby v klinické praxi. Hledání optimálních možností telemetrického přenosu fysiologických signálů do měřicího modulu. Výzkum a vývoj klíčových algoritmů pro analýzu jednotlivých modalit. Klinika rehabilitačního lékařství 1.LF UK a VFN - doc. MUDr. Olga Švestková, Ph.D.
Neurologická klinika pro dospělé 2.LF a FN Motol - doc. MUDr. Jaroslav Jeřábek, CSc. Smrčka, P. - Hána, K. - Kašpar, J. - Kneppo, P. - Tyšler, M.: Systém pro měření biologických a technických veličin v prostředí silného a proměnlivého elektromagnetického pole. Užitný vzor Úřad průmyslového vlastnictví, 17088. 2007-01-08. Hána, K. - Smrčka, P. - Kašpar, J. - Fiala, R.: Experimentální biotelemetrický systém se základními moduly (EKG, teplota, kožní odpor) pro podporu výzkumu v oblasti měření a rekonstrukce fyziologických dat. [Prototyp, poloprovoz, ověřená technologie]. Vlastník: FBMI ČVUT v Praze, 2007. Smrčka, P. - Hána, K. - Kašpar, J. - Brada, J. - Fiala, R.: Systém pro vyhodnocování a vizualizaci parametrů při zátěžovém měření. [Autorizovaný software]. Vlastník: FBMI ČVUT v Praze, 2008. Mužík, J. 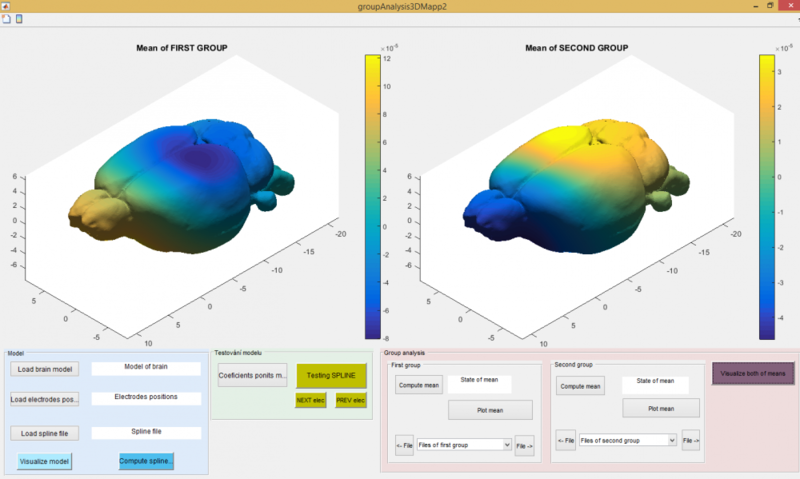 - Hána, K.: System for Interactive EEG Analysis. In: OHBM 13th Annual Meeting [CD-ROM]. Minneapolis: The Organization for Human Brain Mapping, 2007, s. 1-2. Mužík, J. - Hána, K.: Real-Time BSPM Processing System. In: IFMBE Proceedings [CD-ROM]. Berlin: Springer, 2008, p. 1-4. ISBN 978-3-540-89207-6.
kde lze najít podrobné informace o zaměření a složení týmu, řešených projektech, semináři výzkumného týmu, seznam publikací a posterových prezentací na konferencích a řadu dalších informací. Jsme skupina zabývající se hodnocením zdravotnických technologií (HTA), systémy poskytování a financování zdravotní péče a ekonomikou a managementem zdravotnictví. Náš tým vznikl kolem studijního oboru Systémová integrace procesů ve zdravotnictví na Fakultě biomedicínského inženýrství Českého vysokého učení technického v Praze. Soustřeďujeme se zejména na HTA aplikované na zdravotnické prostředky v podmínkách České republiky. V této oblasti využíváme expertní znalosti pracovníků celé fakulty a synergii, kterou přináší spolupráce s týmy zaměřenými na biomedicínské inženýrství a lékařskou techniku. XUV záření je elektromagnetické záření s vlnovými délkami 1 - 100 nm. Je velmi silně absorbováno atmosférou i většinou běžných látek v našem okolí. S přirozenými zdroji tohoto záření se proto v běžném životě nesetkáváme. Významné potenciální uplatnění XUV záření se očekává především v nových technologiích a v biologii. V technologiích se jedná především o litografické postupy při výrobě elektronických prvků velké integrace, v biologii jde především o zobrazování malých objektů, zejm. buněk a o fotofyzikální jevy. Nejznámějšími zdroji XUV záření jsou synchrotrony. Alternativními zdroji, jejichž výzkumu se nyní věnuje významná pozornost, je laserové plasma a silnoproudý elektrický výboj. Nově vytvořená skupina akademických pracovníků, asistentů,doktorandů, a studentů na katedře přírodovědných oborů Fakulty biomedicínského inženýrství FBMI. Zabýváme se uplatněním laboratorních zdrojů XUV záření v biomedicíně. Navazujeme na dosavadní aktivity Fakulty jaderné a fyzikálně inženýrské ČVUT. Spolupracujeme s akademickými pracovníky a doktorandy katedry fyzikální elektroniky FJFI a s vědeckými pracovníky Fyzikálního ústavu AV ČR, Ústavu fyziky plazmatu AV ČR a jimi vedenými doktorandy a studenty. Máme pracovní kontakty se stejně zaměřenými skupinami v Rusku, USA a Japonsku. Naším pracovištěm je Katedra přírodovědných oborů FBMI, která sídlí v budově Kokos v Kladně na náměstí Sítná. V rámci rekonstrukce objektu Kokos byla vybudována nová Laboratoř XUV (místnost Cs 103), je určená pro experimentální činnost naší skupiny. V jejím rámci vznikají studentská pracoviště, která představují vybrané moduly interakčních experimentů. Monitorováním a kvantifikováním procesu rehabilitační péče o pacienta s ložiskovým postižením mozku a využitím (3D) virtuální reality pro rehabilitaci pacientů s poruchami rovnováhy. Cílem všech rehabilitačních postupů je zlepšit funkční schopnosti pacienta. K tomuto cíli vede celá řada rehabilitačních postupů, které pracují s pacientem v daném prostředí rehabilitačního pracoviště, nebo pacient rehabilituje v domácím prostředí, které je poměrně konstantní. Cílem všech postupů je zlepšit kvalitu života pacientů. Rehabilitace, zejména v počátečních stadiích, představuje pro nemocného člověka poměrně velkou zátěž, která může významným způsobem ovlivnit fungování kardiovaskulárního aparátu a při překročení určité hranice tolerance zátěže může dojít ke zpomalení rehabilitace, eventuálně ke zhoršení stavu. Tato část probíhá v těsné spolupráci s Klinikou rehabilitačního lékařství 1.LF UK a VFN, která přijímá pacienty po poškození mozku do programu tzv. denního stacionáře, kde jsou rehabilitování po dobu 3 týdnů. V současné době není objektivizováno, kolik času tráví cvičením, jakým způsobem zatěžují postižené a zdravé končetiny a jakým k jak velké zátěži kardiovaskulárního aparátu u rehabilitovaných pacientů dochází. zásadní informaci by měla přinést analýza pohybu postižené končetiny, respektive zlepšení jejího používání v průběhu rehabilitace. Zlepšení pohybu, tj. postupného zapojení postižené končetiny do pohybových aktivit, je důkazem úspěšnosti prováděné rehabilitace. Záznam postupného zlepšování pohybu končetinou resp. končetinami by byl měřitelným a objektivním záznamem lepší pacienta. Na základě těchto dat by pak bylo možné optimalizovat prováděný rehabilitační postup. Na základě těchto informací a získané zkušenosti by měl být v další fázi naplněn i další cíl – sledování úspěšnosti rehabilitačního procesu prováděném v domácím prostředí. Z ryze technického hlediska by se jednalo o návrh a konstrukci zařízení, umožňujícího provádět uvedená měření při rehabilitaci prováděné v domácím prostředí. Toto technické vybavení by jednak přinášelo velice cenné informace o pohybových aktivitách, době a délce trvání cvičení, jehož kvantitativní parametry by dokázalo průběžně monitorovat. Rovnováha je v organizmu zajišťována součinností tří senzorických vstupů: zrakového, vestibulárního a proprioceptivního. Proto může k poruchám rovnováhy docházet při porušení jednotlivých systémů, nebo center, která složí pro jejich vzájemnou koordinaci. Standardním postupem v rehabilitaci poruch rovnováhy je využití biologické zpětné vazby, kdy je používána stabilometrická plošina, na které stojí pacient a na obrazovce sleduje pohyb svého těžiště. Tento systém používá například systém SPS, na kterém rehabilitují pacienti v neuro-otologickém centru FN Motol. Analogický způsob tréninku rovnováhy využívá komerčně dostupná herní konzole Nintendo, která je též v uvedeném centru pro účely rehabilitace pacientů s poruchami rovnováhy využívána. Oba uvedené systémy mají poměrně výrazné hranice v použitelnosti, kdy je možno zvyšovat obtížnost jednotlivých cvičení, ale nelze zásadním způsobem modulovat vlastnosti zrakového vstupu. Vždy se cvičí v určitém neměnném prostředí. To omezuje využitelnost uvedených systémů pro centrální poruchy, kdy dochází k postižení center, zodpovědných za interakce jednotlivých vstupů (stavy po cévních příhodách mozkových, ložiskovém poranění mozku, atd.). Spojení stabilometrické plošiny, která byla do prostor našeho pracoviště zapůjčena pracovišti neuro-otologickým centrem 2.LF a FN Motol, se systémem 3D virtuální reality, který byl pořízen v rámci rozvojového meziuniverzitního projektu mezi FBMI ČVUT a 1. a 2.LF UK v Praze přímo na vybudování laboratoře v prostorách našeho pracoviště, umožnilo modulovat zrakový vstup, měnit velikost sledovaného prostředí i směr pohybu. Pacienti s poruchami rovnováhy budou po dobudování laboratoře rehabilitováni pod dohledem lékařů za použití zrakové zpětné vazby, zprostředkované systémem virtuální reality, který je spojen se stabilometrickou plošinou. S využitím virtuální reality je modifikován zrakový vstup, takže bude podle pokroku v rehabilitaci volen stále obtížnější podnět z hlediska senzorické interakce. Výstupem zde bude vytvoření rehabilitačního systému pro pacienty se závratěmi a poruchami rovnováhy, zejména pro pacienty po ložiskovém postižení CNS- po CMP a po traumatech a vytvoření příslušných norem. Na Klinice rehabilitačního lékařství 1.LF UK a VFN je k dispozici systém LUKOtronic AS200 Motion Measurement k vyšetření 3D pohybu pomocí infrakamer s aktivními markery, gait software – diagnostika chůze, 10 markerů pro DKK a pánev, motion software pro jakýkoliv předem definovaný pohyb. Tento systém je portabilní. Cílem uvedeného projektu je monitorovat vývoj rehabilitace poruch hybnosti - měření rozsahu pohybu paretické končetiny, bez uvedeného systému je možno hodnotit efekt rehabilitace pouze individuálně prováděným škálováním. Daný systém umožní objektivizovat rozsah pohybu. Děkujeme za podporu při vývoji firmě Clever Technologies, s.r.o., spin-off firmě FBMI a 1.LF UK v Praze. Je nás dvanáct: vedoucí týmu - doc. Ing. Karel Roubík, Ph.D., zaměstnanci FBMI - Ing. Martin Rožánek, Ph.D., a Ing. Roman Potůček, dále doktorandi a studenti FBMI. Zabýváme se výzkumem a aplikací nových ventilačních technik pro zvládnutí respirační insuficience dětských i dospělých pacientů. Zejména se jedná o vysokofrekvenční ventilaci, vývoj Demand Flow Systému a o aplikaci HeliOxu v respirační péči. Výsledky naší práce je možné najít na adrese www.ventilation.cz v sekci články. Vybrané publikace najdete na adrese www.ventilation.cz v sekci články. Poslední článek "Demand flow facilitates spontaneous breathing during high-frequency oscillatory ventilation in a pig model " uveřejněný v časopise Cricital Care Medicine je možné shlédnout zde. Jsme tým, který vznikl na Katedře zdravotnických oborů a ochrany obyvatelstva a který se zaměřuje na vysoce aktuální problematiku bezpečnostního výzkumu (Bezpečnost (Security)), které je jedním z nosných programů 7. rámcového programu Evropské unie. Využíváme skutečnosti, že na katedře se sešli specialisté v problematice urgentní medicíny a medicíny katastrof s odborníky se zkušenostmi s krizovým a operačním managementem, strategickým rozvojem, rozpočtováním a logistikou. prof. MUDr. Věra Adámková, CSc., MUDr. Stanislav Brádka, doc. MUDr. Alexander Čelko, CSc., genmjr. v. z. Ing. Jiří Halaška, Ing. Michaela Havlová, Ph.D., Mgr. Zdeněk Hon, Ph.D., Ing. Hana Kličková, prof. MUDr. Leoš Navrátil, CSc., MBA, prof. Ing. Vladimír Pitschmann, CSc., doc. Ing. František Podzimek, CSc., doc. MUDr. Jan Pokorný, DrSc., prof. MUDr. Jaroslav Racek, DrSc., prof. MUDr. Jozef Rosina, Ph.D., MBA, prof. Ing. Gustav Šafr, DrSc., MUDr. Josef Štorek, Ph.D., doc. Ing. Jozef Sabol, DrSc. Vývoj nových biodozimetrických postupů s následnou aplikací v klinické praxi. Výzkum chemických reakcí a vývoj technologií pro polní a laboratorní analýzu bojových chemických látek a dalších z bezpečnostního hlediska významných toxických sloučenin s důrazem na jejich testování v podmínkách blízkých reálným. Studium a vývoj dekontaminačních prostředků pro použití na jednotlivé nebezpečné chemické a radioaktivní látky a stanovení nejúčinnějších technologických postupů při dekontaminaci v improvizovaných podmínkách. Rozpracování metodiky TOXALS, jejíž nedílnou součástí je ochrana osob, třídění a dekontaminace, v proudu traumatizovaných; nosný postup v působnosti vyčleněného (záchranného) segmentu zdravotní péče v celém kompletu problematiky, včetně navazujících pracovišť cílových zdravotnických zařízení (program prevence sekundární kontaminace zdravotnického personálu, přístrojů a pracovišť. Problém možného importu vysoce nebezpečné nákazy a její identifikace. Studium adaptace organizmu na chlad a horko, možnosti ochrany. Studium optimálních nutričních návyků v podmínkách vnějšího ohrožení s následným průmyslovým využitím. Hojení ran v extrémních podmínkách a vývoj vhodných technologií. Zpracováni principů zdravotnické kritické infrastruktury a jejich aplikace do příslušných havarijních plánů a metodických postupů. Ochrana obyvatelstva před mimořádnou situací je charakterizována jako soubor činností, postupů a opatření věcně příslušných orgánů, dalších subjektů i jednotlivých občanů, směřujících k minimalizaci dopadů na životy a zdraví obyvatelstva, majetek a životní prostředí. Vychází ze základních principů, uplatňovaných ve vyspělých zemích světa, ve kterých je ochrana obyvatelstva organizována. V České republice nedostatečná připravenost obyvatelstva k řešení mimořádných situací zůstává problémem, který je třeba změnit. Velká část jejích občanů je pasivní a spoléhá na činnost profesionálů. civilní podpora ozbrojených sil a bezpečnostních zdrojů. Medicína katastrof patří mezi dynamicky se rozvíjející obory. Jeho potřeba vychází ze stávající politicko-ekonomické situace ve společnosti, kdy ekonomická krize, angažovanost vojsk NATO včetně Armády České republiky v Iráku a v Afganistanu, rozdílné chápání spravedlnosti jednotlivými etniky, jiné náboženství, narušené vztahy mezi národy, zvyšující se napětí, nenávist, šovinismus, nacionalismus, který může vést až nenávisti, to vše může přerůst k bezprostřednímu ohrožení obyvatel kteréhokoliv státu ze strany fanaticky uvažujících jedinců či skupin. Významným nebezpečím pro lidstvo je industrializace, výstavba mamutích průmyslových center, kde selhání techniky nebo lidského faktoru může mít rovněž katastrofální důsledky pro obyvatele a to nejen daného regionu. Další ohrožení pro populaci vychází zejména z hromadných havárií dopravních prostředků, jejichž přepravní kapacita stále stoupá a přitom jsou relativně snadno ohrozitelné a to včetně letecké dopravy. Rychlý přesun obyvatelstva mezi teritorii se zcela rozdílnou epidemiologickou situací může vést ke zdravotnímu ohrožení obyvatel hostitelské země včetně pandemií. Nelze vyloučit ani rozsáhlé důsledky přírodních katastrof, rozpad energetické sítě či masové napadení informačních zdrojů. To vše staví před zdravotnictví úkol dokázat se s danou situací vyrovnat a řešit zdravotní důsledky racionálně a účelně. Tento úkol může zvládnout jen na potřebné úrovni vzdělaný odborník. Při analýze připravenosti systému jsme došli k varujícím závěrům. V současné době je v České republice značný nedostatek odborníků se zaměřením na problematiku krizového zdravotnictví. Důsledkem je nekoncepčnost, řada chybných rozhodnutí, neujasněnost financování, personálního a materiálového vybavení a to zejména na nižších stupních řízení, na úrovni krajských a místních samospráv. Není vyjasněn vztah státních a nestátních zdravotnických organizací včetně financování tohoto systému a těchto organizací. Havránková, R., Navrátil, L., Hromada, M. Učebna pro výuku krizového managementu na Zdravotně sociální fakultě. Kontakt (vědecký časopis ZSF JU), 2007, roč. 9, č. 2, s. 435-436, ISSN 1212-4117. Navrátil, L., Havránková, R., Hruška, J., Štorek, J., Brádka, S. Celoživotní vzdělávání v oboru ? Ochrana obyvatelstva? na Zdravotně sociální fakultě Jihočeské univerzity. In Mezinárodní kongres "Interop-soft", Brno, Univerzita obrany, 2007, s. 48. ISBN 978-80-86633-91-6. Oya, N., Zölzer, F., Werner, F., Streffer, C.: Similar Extent of Apoptosis Induction at Doses of X-Rays and Neutrons Isoeffective for Cell Inactivation. Strahlentherapie und Onkologie, 2008, 184, 5, 270-275, ISSN 0179-7158. Racek, J.: Oxidační stres a možnosti jeho ovlivnění. Galén, Praha, 2003, 92 s.
Sabol, J., Jurda, M., Gregor, Z. and Navrátil, L.: Assessment of the Total Effective Dose of Miners in the Underground Uranium Rožná Mine in the Czech Republic during the period of 2004-2009. IM2010 European Conference on Individual Monitoring of Ionizing Radiation, Athens, 8-12 March 2010. Book of Abstracts, 252. Vilasová, Z., Řezáčová, M., Vávrová, J., Tichý, A., Vokurková, D., Zölzer, F., Řeháková, Z., Osterreicher, J., Lukášová, E.: Changes in phosphorylation of histone H2A.X and p53 in response of peripheral blood lymphocytes to gamma irradiation. Acta Biochemica Polonica, 2008, 55, 2, 381-390, ISSN 0001-527X. Zölzer, F., Streffer, C. Relative Biological Effectiveness of 6 MeV Neutrons with Respect to Cell Inactivation and Disturbances of the G1 Phase. Radiation Research, 2008, roč. 169, č. 2, s. 207-213, ISSN 0033-7587.
doc. Ing. Jiří Hozman, Ph.D., doc. Ing. Patrik Kutílek, M.Sc. Ph.D., doc. Ing. Zoltán Szabó, Ph.D., Mgr. Radim Krupička, Ph. D., Ing. Jaroslav Charfreitag, Ing. Martin Čapek, Ph.D.
V současné době je samozřejmě nabízeno mnoho systémů pro hodnocení polohy očí a těla, nicméně jejich širšímu nasazení brání velmi značná finanční náročnost. Systémy vyvinuté na ČVUT jsou přesným opakem a snaží se využít techniku, která je dnes běžná i v každodenním životě. A právě přizpůsobení starších, ale i nových zařízení potřebám lékařů, jejich náhrada novými, ale i návrh a konstrukce zcela nových specializovaných zařízení je značnou aktivitou týmu, jenž je charakterizován značným počtem studentů, na Fakultě biomedicínského inženýrství ČVUT. Výčet těchto aktivit je velmi široký nicméně v tomto přehledu je pozornost soustředěna na tři významné aplikace a to z oblasti hodnocení okamžité polohy hlavy, kraniokorpografie a vyhodnocování pohybu ruky u pacientů s Parkinsonovou chorobou. V současné době je hodnocení polohy, pohybu jednotlivých částí či celého těla velmi rozšířenou činností. Můžeme se setkat s takovými běžnými aplikacemi jako je hodnocení správné chůze a postavení těla, působení léčebného či rehabilitačního procesu v souvislosti s úrazem či nemocí a to v interním lékařství, profesním lékařství, sportovním lékařství, očním lékařství, v ORL a v neurologii. Značné uplatnění mají pak jednotlivé metody právě v neurologii a to zejména proto, že z hlediska anatomie a fyziologie existuje u člověka relativně složitý systém pro řízení rovnováhy, který sestává ze tří subsystémů a to vestibulárního systému, vizuálního a též somatosenzorického. V klinické neurologii se proto setkáváme s vyšetřovacími metodami právě z oblasti hodnocení polohy a pohybu očí, hlavy a těla. Pokud se ohlédneme několik desítek let zpět, tak lze vysledovat, že pro realizaci výše uvedených metod bylo využíváno jednoduchých pomůcek typu goniometr, systémů se zrcadly, fotografické techniky a televizní snímací techniky. V současné době jsou k dispozici komerční zařízení, která jsou jednak finančně velmi náročná a jednak jsou vyrobena pouze pro daný účel bez možnosti přizpůsobení dalším požadavkům lékařů. Hodnocení okamžité polohy hlavy jako nová vyvinutá metoda má pro lékaře především význam v tom, že naměřené hodnoty vypovídají o případných vztazích mezi polohou hlavy a jednotlivými onemocněními. Metoda a systém také lékařům umožňují sledování změn polohy hlavy v průběhu léčby některých z výše uvedených, ale i dalších, chorob. Systém digitální kraniokorpografie vyvinutý na ČVUT je schopen hodnotit všechny potřebné parametry, umožňuje analýzu v čase mezi jednotlivými polohami a umožňuje též srovnání záznamů mezi sebou. Kromě toho systém umožňuje výpočet parametrů a zobrazení grafů testů prostorové paměti (testu integrace dráhy a testu chůze do hvězdy) a též export dat a uložení do databáze. Optoelektrická analýza pohybu ruky u pacientů s Parkinsonovou chorobou - naší snahou a cílem je především analýza transportní funkce ruky, definice a registrace abnormity u pacientů s pohybovými poruchami neurologického původu a nalezení parametrů, které odlišují fyziologický a patofyziologický pohyb. Metoda by měla pomoci lékaři s určením účinnosti podaných medikamentů, které mají zlepšit motoriku pacienta. Vědecko-výzkumný záměr VZ MSM68407700 Transdiciplinární výzkum v oblasti biomedicínského inženýrtsví II. Charfreitag, J. - Hozman, J. - Černý, R. Měření polohy očí a hlavy v neurologii. In: Lékař a technika. 2008, roč. 38, č. 4, s. 77-81. ISSN 0301-5491. Hozman, J. - Kutílek, P. - Szabó, Z. - Krupička, R. - Jiřina, M. - et al. Digital Wireless Craniocorpography with Sidelong Scanning by TV Fisheye Camera. IFMBE Proceedings [CD-ROM]. Berlin: Springer, 2008, vol. 1, p. 102-105. ISBN 978-3-540-89207-6. Krupička, R. - Janda, P. - Szabó, Z. - Jiřina, M. Evaluation of Periodic Hand Motion in Parkinson´s Disease In: Lékař a technika. 2008, vol. 38, no. 2, p. 130-133. ISSN 0301-5491. Krupička, R. - Szabó, Z. - Janda, P. Parametric Representation of Hand Movement in Parkinson's Disease In: IFMBE Proceedings [CD-ROM]. Berlin: Springer, 2008, p. 1-4. ISBN 978-3-540-89207-6. Szabó, Z. - Krupička, R. - Rozinek, O. Improved Marker Detection for Hand Movement Analysis in Parkinson's Disease. In: Analysis of Biomedical Signals and Images; Biosignal 2008 proceedings [CD-ROM]. Brno: VUTIUM Press, 2008, ISBN 978-80-214-3613-8. Szabó, Z. - Krupička, R. - Rozinek, O. Technical Background of 3D Motion Analysis of Patients with Neurological Diseases In: IX. International Conference Symbiosis 2008. Gliwice: Silesian Technical University, 2008, p. 32-34. Szabó, Z. - Rozinek, O. Color Calibration of Digital Images for Improvement of Movement Analysis. In: Lékař a technika. 2008, vol. 38, no. 2, p. 255-259. ISSN 0301-5491. Charfreitag, J. - Hozman, J. - Černý, R. Specialized glasses - projection displays for neurology investigation. In: IFMBE Proceedings [CD-ROM]. Berlin: Springer, 2008, vol. 1, p. 97-101. ISBN 978-3-540-89207-6. Janda, P. - Hozman, J. - Jiřina, M. - Szabó, Z. - Krupička, R. Contactless Head Posture Measurement. In: IFMBE Proceedings [CD-ROM]. Berlin: Springer, 2008, p. 1-4. ISBN 978-3-540-89207-6. Janda, P. - Krupička, R. - Szabó, Z. - Hozman, J. Contact-less Measurement of Head Posture for Objectification and Quantification of CNS Disorders. In: Lékař a technika. 2008, vol. 38, no. 2, p. 112-114. ISSN 0301-5491. Kutílek, P. - Hozman, J. Non-Contact and Non-Invasive Method for Measurement of Head Posture in Neurology. In: Cybernetic letters [online]. 2008, no. 7, Internet: http://www.cybletter.com/index.php?s=2008. ISSN 1802-3525. Hozman, J. - Černý, R. Evaluation of Immediate Eye, Head and Body Position Particularly in Neurology. [Unpublished Lecture]. Department of Automatic Control and Systems, University of Split. 2007-10-24. Černý, R. - Strohm, K. - Hozman, J. - Stoklasa, J. - Šturm, D. Head in Space - Non-invasive Measurement of Head Posture. In: 11th Danube Symposium 2006 - International Otorhinolaryngological Congress. Bologna, Italy: MEDIMOND, 2006, vol. VIII, p. 39-42. ISBN 88-7587-296-1. Hozman, J. - Šturm, D. - Stoklasa, J. - Černý, R. Měření polohy hlavy v neurologické praxi. In: Lékař a technika. 2006, roč. 36, č. 1, s. 51-53. ISSN 0301-5491. Szabó, Z. Two-Dimensional Cross-Correlation and Morphological Image Analysis Based Marker Detection. In: Analysis of Biomedical Signals and Images - Proceedings of Biosignal 2006. Brno: VUTIUM Press, 2006, p. 315-317. ISBN 80-214-3152-0. Szabó, Z. - Štorková, B. Movement Analysis in Parkinson's Disease. In: Transactions on Engineering, Computing and Technology [online]. 2006, vol. 14, no. 8, p. 18-21. Internet: http://www.enformatika.org/data/. ISSN 1305-5313. Diamant má řadu atraktivních vlastností pro biomedicínské aplikace. Je extrémě tvrdý a chemicky inertní a díky tomu odolný k různým formám degradace. V čisté formě je diamant skvělý izolant, který je opticky transparentní pro široké spektrum elektromagnetického záření. Dopací diamantu lze získat polovodič. Při vysoké dopaci vykazuje diamant metalickou vodivost. Důležitou vlastností diamantu pro biomedicínské palikace je jeho snadné navázání specifických biomolekul. Diamant obecně vykazuje skvělou biokompatibilitu. Fluorescenční značky (markery) jsou nepostradatelným nástrojem v biologii a medicíně pro zobrazování buněk. Markery používané v současné době trpí řadou limitací, jako je vyhasínání luminiscence, nestabilita luminiscence a nezřídka také cytotoxicita. Nanodiamant je částice, která díky svým vlastnostem nabízí alternativu k současně používaným markerům. Se vzrůstající rezistencí patogenních bakterií vůči antibiotikům se zvyšuje zájem o monitorování funkcionality bakteriálních membrán, jejichž narušení může být dosaženo interakcí mezi peptidy a lipidy. V našem výzkumu se zabýváme monitorováním narušení umělé buněčné lipidové membrány peptidy. K monitorování nainterakce mezi peptidy a lipidy využíváme bioelektronického prvku založeném na uměle vytvořené lipidové membráně na borem dopovaném nanokrystalickém diamantu. Výzkumný tým Bio-elektromagnetizmu se zabývá především návrhem přístrojového vybavení a metod pro lékařskou terapii a diagnostiku založenou na bázi interakce elektromagnetického pole s biologickými systémy. Mezi hlavní terapeutické aplikace, kterým se tento tým věnuje, patří tzv. radiofrekvenční a mikrovlnná hypertermie, která se úspěšně využívá k léčbě rakoviny. Nejčastěji se tato metoda kombinuje s radioterapií, kde i při radikálním snížení dávek radioterapie dochází ke zvýšení celkové účinnosti léčby. Snížení dávek radioterapie dále vede k omezení nežádoucích vedlejších účinků léčby. Tým se v rámci terapie dále věnuje magnetickým a elektrickým neuro-stimulacím. Mezi hlavní diagnostické aplikace patří např. neinvazivní monitorování teploty, glukózy v krvi nebo diagnostiky a klasifikace cévní mozkové příhody. Aktivity spojené s diagnostikou a klasifikací cévních mozkových příhod jsou řešeny v rámci světové sítě výzkumných center ELEDIA Network, v rámci které je náš tým označený ELEDIA@CTU. Dále se tým zabývá vývojem metodami a systémem povrchového mapování bioelektrické aktivity srdce. Pomocí této metody lze neinvazivně diagnostikovat procesy de-/repolarizace komor srdce. To je zvláště důležité pro pacienty s více patologiemi, jako je infarkt myokardu nebo ischemie s mimoděložním činnosti v komorách. V neposlední řadě se tým Bio-elektromagnetizmu zabývá návrhem anatomicky věrných fantomů biologických tkání a měřením jejich dielektrických vlastností. Náš výzkumný tým je zaměřen na základní i aplikovaný výzkum možností využití EM (elektromagnetického) pole v oblasti biomedicíny. Výzkum je zaměřen nejen na léčebné, ale i na diagnostické aplikace EM pole v medicíně. Další významnou aktivitou tohoto týmu je výzkum pozitivních i negativních interakcí elektromagnetického pole s živými organizmy a stanovování bezpečných limitů pro vystavení populace elektromagnetickému poli. prof. Ing. Peter Kneppo, DrSc. - Po odborné stránce se věnuje zejména nejistotám při měření a metrologii, povrchovému mapování srdečních potenciálů a dále otázkám ekonomiky a managementu zdravotnictví. doc. Dr.-Ing. Jan Vrba, M.Sc. - Předmětem zájmu jsou především numerické simulace současně probíhajících fyzikálních jevů a návrh systémů pro měření komplexní permitivity v mikrovlnné oblasti. doc. Ing. David Vrba, Ph.D. - Zabývá se vývojem nových typů EM aplikátorů pro lékařské účely na bázi metamateriálových struktur. Mgr. Ksenia Sedova,Ph.D. – Zaměřuje se na hodnocení heterogenity repolarizace srdečních komor prostřednictvím počítačových simulací a in vivo experimentů a na predikce fatálních komorových arytmií při ischemie/reperfuze myokardu na základě analýzy EKG signálu. Mgr. Elena Deutsch – Cílem je nalézt optimální metodu řešení inverzní úlohy elektrokardiografie pro ektopické aktivity v komorách. Ing. Ondřej Fišer- Zabývá se vývojem systémů a algoritmů využívající širokopásmový mikrovlnný radar pro lékařskou diagnostiku. Zejména pak studiem využití širokopásmového radaru pro určení rozložení teploty v lidském těle během aplikace mikrovlnné hypertermie. Ing. Luis Felipe Díaz – Jeho cílem je přispět k rozvoji mikrovlnného systému pro neinvazivní monitorování glukózy v krvi u pacientů s diabetem a k rozvoji metody pro získávání dielektrických parametrů biologických tkání ze snímků magnetické rezonance (MREPT). Ing. Jan Tesařík - Zabývá se návrhem mikrovlnného zobrazovacího systémů pro detekci a klasifikaci cévní mozkové příhody a návrhem vhodných fantomů pro testování těchto systémů. Nové technologiena bázi využití EM pole, zpravidla využívající mikrovlnné principy, hrají v oblasti moderní medicíny stále významnější roli (viz např. MR, EKG, EEG, hypertemie, termoterapie, termoablace, atd.) a lze očekávat, že technologie na bázi EM pole mají velký potenciál přinést mnoho nových významných příspěvků do terapie a diagnostiky i v blízké budoucnosti. A tím zvýšit pravděpodobnost úspěšné léčby pro mnohé pacienty. Nejčastější příčinou náhlého úmrtí jsou fatální komorové arytmie v důsledku porušení elektrických vlastností srdce. Jednou z aktivity našeho týmu je vyvinout neinvazivní hodnocení elektrofyziologické poruchy v komorách srdce. Proto používáme systém povrchového mapování srdce Procardio-8 s 64 aktivními elektrodami. Analýza distribučních map elektrického potenciálu na povrchu trupu člověka vyhodnotí bioelektrické aktivity srdce. Tak je možné pomocí této metody diagnostikovat srdeční funkce neinvazivně. To je zvláště důležité pro pacienty s více patologiemi, jako je infarkt myokardu nebo ischemie s mimoděložními činnostmi v komorách. BM1309 European network for innovative uses of EMFs in biomedical applications (David Vrba člen management committee projektu). AZV (15-31538A) "Diagnostika a terapie orofaciální bolesti" (spoluřešitel Jan Vrba). AZV (15-30456A) "Prevence motorických deficitů po epileptochirurgických výkonech u dětí" (člen týmu David Vrba). Intercollegiate College of Medical Engineering National Technical University of Ukraine "Kyiv Polytechnic Institute"
Vrba, D., Rodrigues, D. B., Vrba, J., and Stauffer, P. R., "Metamaterial antenna arrays for improved uniformity of microwave hyperthermia treatments," Progress In Electromagnetics Research, Vol. 156, 1-12, 2016. IF = 1.229. Vrba, J., Karch J., and Vrba D., „Microwave Glucose Monitoring in Aqueous- and Blood-Glucose Solutions: In Vitro Feasibility Study,” International Journal of Antennas and Propagation, Vol. 2015, 2015, Article ID 570870, 5 pages, ISSN 1687-5869. IF = 0.827. Vrba, J., Vrba, D., “A Microwave Metamaterial Inspired Sensor for Non-Invasive Blood Glucose Monitoring,” Radioengineering. 2015, vol. 2015, no. 4, p. 877-884. ISSN 1210-2512. IF = 0.653. Vrba, D., Vrba, J., “Novel Applicators for Local Microwave Hyperthermia Based on Zeroth-Order Mode Resonator Metamaterial,” International Journal of Antennas and Propagation, Vol. 2014, 2014. ISSN 1687-5869. IF = 0.827. Vrba, J., Vrba, D., “Temperature and Frequency Dependent Empirical Models of Dielectric Properties of Sunflower and Olive Oil,” Radioengineering, vol. 22., no. 4, 2013. IF = 0.798. Pokorny, J., Foletti, A., Kobilkova, J., Jandova, A., Vrba, J., Vrba, J., Nedbalova, M., Cocek, A., Danani, A. Tuszynski, J. A., “Biophysical Insights into Cancer Transformation and Treatment,” Sci. World J., vol. 2013, Jun. 2013. IF = 1.219. Weiss, R., Weiss, M., Beasley, K., Vrba, J., Bernardy, J., “Operator Independent Focused High Frequency ISM Band for Fat Reduction: Porcine Model,” Lasers Surg. Med., vol. 45, no. 4, pp. 235–239, 2013. IF = 2.611. Vrba, J., Jansen, R. H., Diewald, A. and Baum, G., “Investigation of electromagnetic field radiation and substrate mode excitation caused by microstrip via structures,” Journal of Electromagnetic Waves and Applications, vol. 26, no. 13, pp. 1779–1787, 2012. Titomir, Leonid I., and Peter Kneppo. 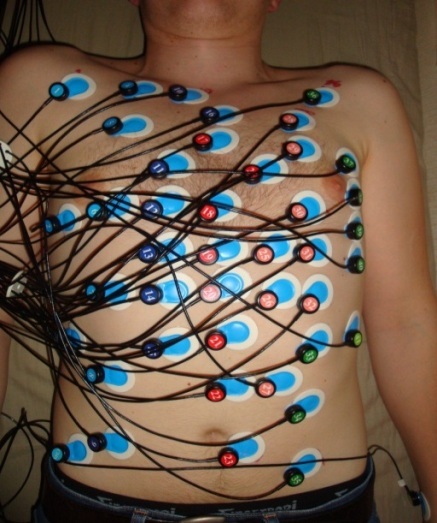 Bioelectric and Biomagnetic Fields: Theory and Applications in Electrocardiology. CRC, 1994. L. I. Titomir, P. Kneppo,“ Mathematical Simulation of the Bioelectrical Heart Generator“, Moscow: Fizmatlit, 2000, 448 pp., ISBN: 5-02-015245-5. L. I. Titomir, P. Kneppo , V. G. Trunov, E. A. – I. Aidu,“Biophysical Foundations of Electrocardiotopographic Methods“, Moscow: Fizmatlit, 2009, 236 pp., ISBN: 978-5-9221-1162-1. Výzkumný tým se v současné době zabývá především zpracováním a analýzou EEG záznamů. Měření elektrické aktivity mozku se v klinické praxi využívá jako metoda diagnostická. Používá se například při detekci epilepsie, při analýze spánkových stavů a konsolidace paměti. Vedle klinické praxe se EEG zpracovává a hodnotí v oblasti výzkumné. Výzkumná oblast si žádá další metody analýzy signálu například pro skupinová měření. Výzkumný tým se zabývá zpracováním a analýzou lidského i animálního EEG. Náš výzkumný tým je zaměřen na základní i aplikovaný výzkum metod a procesů pro analýzu EEG u animálních i lidských subjektů. Doc. Ing. Vladimír Krajča, CSc. : Má prakticky orientovaný základ ve výzkumu a vývoji originálních systémů a metodologie pro počítačem podporované zpracování a analýzu biologických signálů včetně implementace v klinické praxi. Ing. Václava Piorecká : Zabývá se analýzou animálních záznamů a tvorbou modalit pro hodnocení skupinových měření u experimentů na zvířatech. Ing. Marek Piorecký : Zabývá se klasifikací EEG záznamů pomocí neučících se klasifikátorů na bázi hustoty. Podílí se na simultánním měření EEG-fMRI, včetně zpracování a analýzy záznamů. Ing. Hana Schaabová : Zabývá se analýzou EEG signálů pomocí algoritmů umělé inteligence, například s cílem pomoci lékařům se zpracováním dlouhodobých epileptických EEG záznamů. Ing. Jan Štrobl : Zabývá se odstraněním artefaktů převážně z dlouhodobého EEG záznamu. Dále se zaměřuje na simultánní nahrávání EEG a fMRI a inverzní úlohou na mozku potkanů. M. Bares, M. Brunovsky, M. Kopecek, T. Novak, P. Stopkova, J. Kozeny, P. Sos, V. Krajca, C. Höschl. Early reduction in prefrontal theta QEEG cordance value predicts response to venlafaxine treatment in patients with resistant depressive disorder. European Psychiatry. 23, 5, pp 350-355, 2008. (51 citací), IF 3.912. Krajča V., Petránek S., Patáková I., Värri A., Automatic identificaton of significant graphoelements in multichannel EEG recordings by adaptive segmentation and fuzzy clustering, Int. J. Biomed.Comput.,28 (1991) pp.71-89. (49 citací), IF 0.446. Horacek J, Brunovsky M, Novak T,Skrdlantova L, Klirova M., Bubenikova V., Krajca V. Tislerova B., Kopecek M., Spaniel F., Mohr P., Hoschl C. Effect of low-frequency rTMS on electromagnetic tomography (LORETA) and regional brain metabolism (PET) in schizophrenia patients with auditory hallucinations. Neuropsychobiology 55 (3-4): 132-142 2007, (47 citací), IF 1.763. Bares M, Novak T, Brunovsky M, Kopecek M, Stopkova P, Krajca V, Höschl C. The change of QEEG prefrontal cordance as a response predictor to antidepressive intervention in bipolar depression. A pilot study. Journal of Psychiatric Research 46 (2012), 219-225. (32 citací) IF 4.664. Brunovský M., Matoušek M., Edman A., Červená K., Krajča V., Objective assessment of the degree of dementia by means of EEG, Neuropsychobiology 2003; 48: 19-26. (30 citací), IF 1.479. Witte H., Eiselt M., Patakova I., Petranek S., Griessbach H., Krajca V., Rother M., Use of discrete Hilbert transformation for automatic spike mapping : a methodological investigation, Medical and Biological Eng. & Computing, 1991, 29 ,242-248. (28 citací), IF. 1.004. 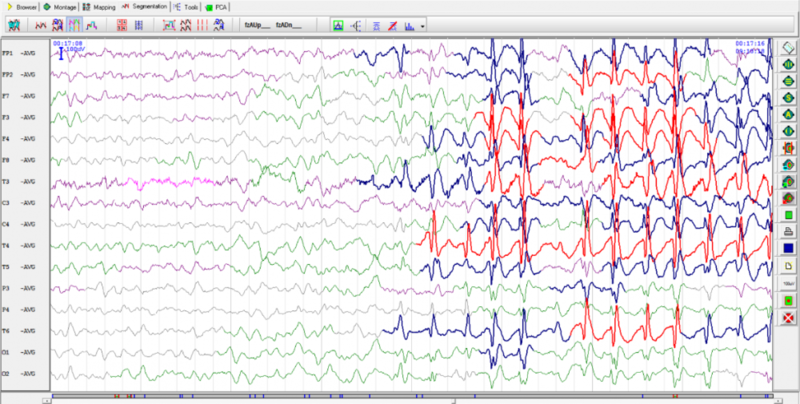 Paul K., Krajča V., Roth Z., Melichar J., Petránek S., Comparison of quantitative EEG characteristics of quiet and active sleep in newborns, Sleep Medicine 4, (2003), pp. 543-552. (25 citací), IF 2.711. T Páleníček, M. Fujáková, M. Brunovský,M. Balíková, Jiří Horáček, I. Gorman , F.Tylš , B. Tišlerová, P. Šoš, V. Bubeníková-Valešová, C. Höschl ,V. Krajča. Electroencephalographic Spectral and Coherence Analysis of Ketamine in Rats: Correlation with Behavioral Effects and Pharmacokinetics. Neuropsychobiology 2011;63:202–218. (24 citací) IF. 2.147. Zima M., Tichavský P, Paul K, and KrajčaV. Robust removal of short-duration artifacts in long neonatal EEG recordings using wavelet-enhanced ICA and adaptive combining of tentative reconstructions. Physiological Measurement vol. 33, 8, pp.39-49, 2012. (15 citací), IF 1.677. V. Gerla, K. Paul, L. Lhotska, and V. Krajca. Multivariate Analysis of Full-Term Neonatal Polysomnographic Data. IEEE Transaction on Information Technology in Biomedicine, vol .13, no.1,pp. 104-110 (2009) (15 citací), IF 1.694. Zabýváme se zejména návrhem telemedicínských systémů používaných k monitoraci a podpoře léčby chronicky nemocných pacientů (zjm. pacientů s diabetes mellitus, hypertenzí a kardiovakulárními onemocněními), k podpoře a motivaci k pohybu u hemiparetických pacientů a pacientů s psychickými onemocněními, a v neposlední řadě také k prevenci vzniku přidružených onemocnění. Součástí těchto systémů jsou zejména aplikace pro chytré telefony, nositelná elektronika a mobilní zdravotnická zařízení, chytré váhy, tlakoměry, apod. Důraz je kladen na bezdrátovou komunikaci a automatický sběr dat. doc. Ing. Patrik Kutílek, MSc., Ph.D.
Jsme multidisciplinární tým, který se věnujeme výzkumu v oblasti biomechaniky a asistivních technologií. Především se věnujeme studiu kinematiky a dynamiky pohybu, a návrhu elektronických systémů určených k měření a hodnocení pohybu člověka a živočichů. Věnujeme se také vývoji a testování mechanických prvků zdravotnických pomůcek, především asistivních pomůcek. Využíváme skutečnosti, že se na FBMI ČVUT sešli specialisté se znalostmi z oblasti robotiky, informatiky a medicíny, se zkušenostmi z oblastí simulací, měření, zpracování a analýz mechanických resp. fyzikálních veličin. Zabýváme se vývojem metod a systémů pro zaznamenávání a vyhodnocování pohybu, vývojem metod a systémů pro zaznamenávání a vyhodnocování silových a momentových účinků, návrhem mechanických částí asistivních pomůcek, vývojem medicínského software pro asistivní pomůcky. Metody a systémy pro záznam a vyhodnocení mechanických veličin tvoří nezbytnou součást řady zařízení v klinické praxi. Značné uplatnění mají takovéto systémy především v diagnostice a rehabilitaci. Využití metod zpracování a hodnocení mechanických veličin se nachází v léčbě pohybového aparátu, nervové soustavy, atp. Mezi konkrétní zařízení, které jsou určeny pro klinickou praxi, patří MoCap systémy umožňující měřit kinematiku pohybu pacientů a určit parametry pro kvantitativní popis pohybu. Systémy a metody nám umožňují studium pohybu a jeho změn v průběhu dlouhodobé či krátkodobé léčby. Jiným příkladem využití metod a systémů je v perspektivních simulátorech dopravních prostředků např. pro sledování silových reakcí měřených subjektů ve vztahu k výkonnostním ukazatelům a dalším biomedicínským datům. Uvedené systémy také tvoří nezbytnou součást asistivních pomůcek. Příkladem perspektivní asistivní pomůcky je například “chytrá“ protéza, exoskeleton atd. Správná funkce uvedených pomůcek využívajících složitých pohonných a senzorových podsystémů je zaručena sofistikovaným speciálním software pro asistivní pomůcky. Aby byla zaručena bezpečná funkce asistivních pomůcek, je nutné nejen studium silových a momentových účinků, ale také jejich vliv na konstrukci zařízení, což souvisí s vhodnou volbou a testováním konstrukcí a použitých materiálů. Kliment, R., Smrčka, P., Hána, K., Schlenker, J., Socha, V., Socha, L., Kutílek, P.; Wearable modular telemetry system for the integrated rescue system operational use (2017) Journal of Sensors, 2017, art. no. 9034253. Kutilek, P., Mares, J., Hybl, J., Socha, V., Schlenker, J., Stefek, A.; Myoelectric arm using artificial neural networks to reduce cognitive load of the user (2017) Neural Computing and Applications, 28 (2), pp. 419-427. Svoboda, Z., Janura, M., Kutilek, P., Janurova, E.; Relationships between movements of the lower limb joints and the pelvis in open and closed kinematic chains during a gait cycle (2016) Journal of Human Kinetics, 50 (2), pp. 37-43. Schlenker, J., Socha, V., Riedlbauchová, L., Nedělka, T., Schlenker, A., Potočková, V., Malá, Š., Kutílek, P.; Recurrence plot of heart rate variability signal in patients with vasovagal syncopes (2016) Biomedical Signal Processing and Control, 25, pp. 1-11. Kutilek, P., Cakrt, O., Socha, V., Hana, K.; Volume of confidence ellipsoid: A technique for quantifying trunk sway during stance (2015) Biomedizinische Technik, 60 (2), pp. 171-176. Hejda, J., Cakrt, O., Socha, V., Schlenker, J., Kutilek, P.;3-D trajectory of body sway angles: A technique for quantifying postural stability (2015) Biocybernetics and Biomedical Engineering, 35 (3), art. no. 72, pp. 185-191. Kutilek, P., Socha, V., Viteckova, S., Svoboda, Z.; Quantification of gait asymmetry in patients with ankle foot orthoses based on hip-hip cyclograms (2014) Biocybernetics and Biomedical Engineering, 34 (1), pp. 46-52. Bizovska, L., Svoboda, Z., Kutilek, P., Janura, M., Gaba, A., Kovacikova, Z.; Variability of centre of pressure movement during gait in young and middle-aged women (2014) Gait and Posture, 40 (3), pp. 399-402. Viteckova, S., Kutilek, P., Jirina, M.; Wearable lower limb robotics: A review (2013) Biocybernetics and Biomedical Engineering, 33 (2), pp. 96-105. Kutilek, P., Viteckova, S., Svoboda, Z., Smrcka, P.; Kinematic quantification of gait asymmetry in patients with peroneal nerve palsy based on bilateral cyclograms (2013) Journal of Musculoskeletal Neuronal Interactions, 13 (2), pp. 244-250. Hejda, J., Kutilek, P., Hozman, J., Cerny, R.; Motion capture camera system for measurement of head and shoulders position (2012) Biomedizinische Technik, 57 (SUPPL. 1 TRACK-B), pp. 472-475. Mikšovský, J., Kutílek, P., Lukeš, J., Tolde, Z., Remsa, J., Kocourek, T., Uherek, F., Jelínek, M.; Adhesion properties of DLC and TiO<inf>2</inf> thin films using scratch test methods (2011) Chemicke Listy, 105 (17).